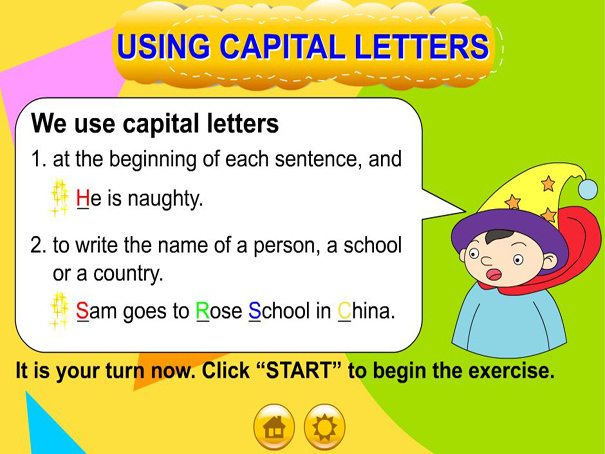 This is a fun game to help you learn when to use capital letters in a sentence. Read the sentence, then click on the letters you want to change to capitals. Think you have them all? Click the submit button and check!